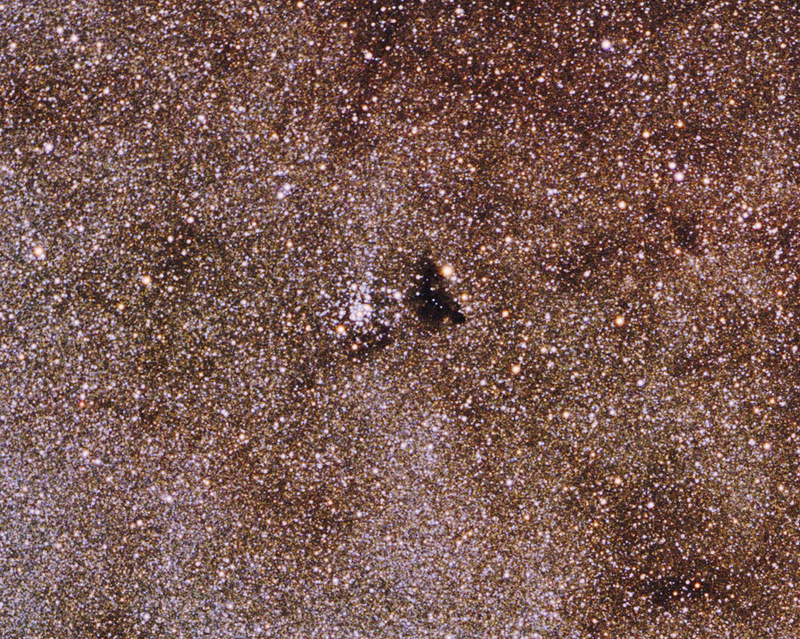 In 1905 the pioneering astrophotographer Edward Barnard photographed this region and described these objects as "the small [triangular] black spot B 86, with the small cluster N.G.C. 6520 just east of it." In his famous "A Photographic Atlas of Selected Regions of the Milky Way" Barnard recorded this region in black & white from Mount Wilson using a 6.25" f/5 refractor on a grainy 8"x10" glass plate. His exposure was 4 hours, manually guided of course. I wonder what he would have thought of this image.